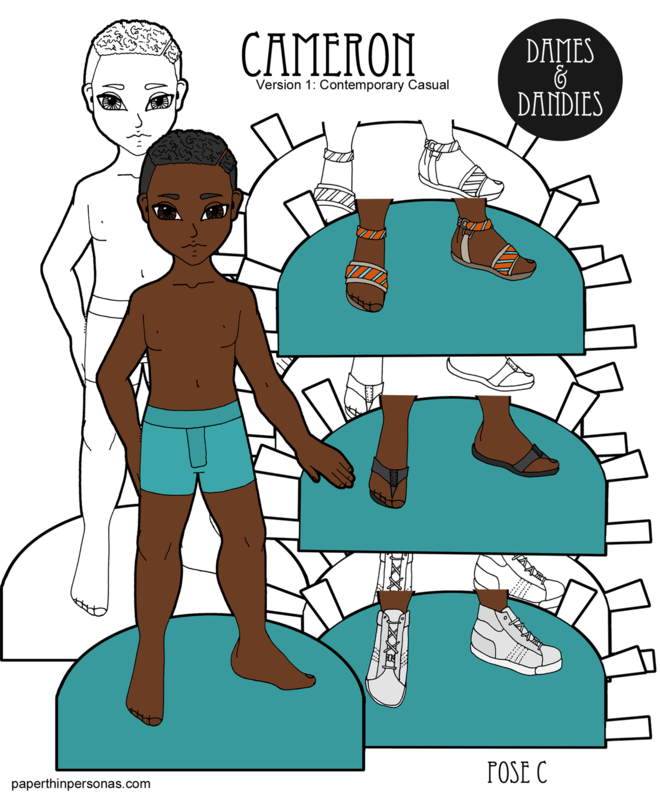 Printable Black & White PDF Printable Color PDF More Paper Dolls & ClothesSomehow, I’ve managed to finish up all my homework for the semester (yay!) and now I have a few weeks off before summer classes rear their ugly head. I am not looking forward to another batch of classes, but the end is in sight and I can only hope I’ll get there soon. As much work as grad school was when I was working part-time, it is so much more work when I was working full-time. But none of that has anything to do with today’s paper doll. Today’s paper doll is an A Pose girl named Aisha. Aisha is an Arabic name meaning alive, according to Behind the Name. All right, so as I often do, this is first version of Aisha as all contemporary shoes. Eventually, I’ll add some more specialized versions of Aisha. I actually already have a cyberpunk version in the works. Years ago, I collected a bunch of photographs of people from around the internet to try to create a skin-tone palette. I ended up with seven colors and you can see that palette here. I recently discovered the work of Angélica Dass. She’s been photographing people against the Pantone color background that matches their skin. You can see her work on the National Geographic Website. It’s really amazing. I don’t think I’ll be creating 4,000 skintones to use on the blog. It wouldn’t be very mix and match shoe friendly, but I do find her project super neat and work checking out whenever you have a moment. Meanwhile, go grab some clothing for this poor naked paper doll. She needs something to wear. 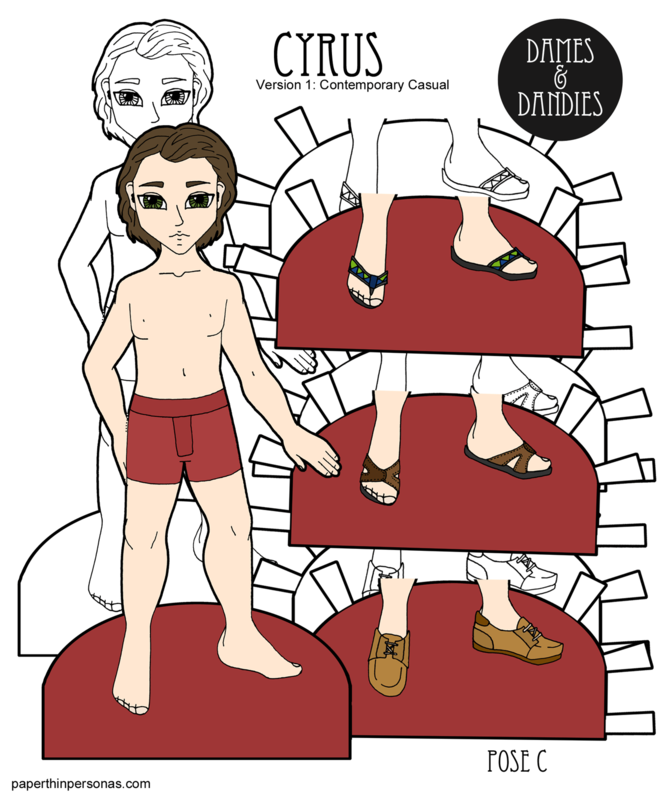 After you do that, leave me a comment and let me know what you think of today’s paper doll.